The cost to California is the highest nationwide, according to the CDC. The price tag for excessive drinking – in health care, loss of work productivity and other costs – amounts to some $32 billion annually in California, according to a federal study. Defined as five or more drinks for a man and four or more for a woman, binge drinking causes a large economic burden across the United States, a study issued Tuesday from the Centers for Disease Control and Prevention states. “Excessive alcohol use has devastating impacts on individuals, families, communities, and the economy,” said CDC Director Dr. Tom Frieden. California, the country’s most populous state, had the highest cost at $32 billion, according to the study. North Dakota had the lowest: $420 million. 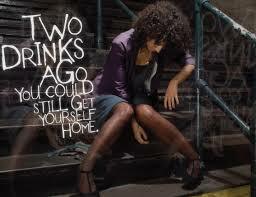 The median cost per state for each alcoholic beverage consumed was about $1.91, the CDC stated. In California, the cost was $2.25 per drink, the study stated, with a cost of $874 per person, ranking behind only four other states and the District of Columbia.